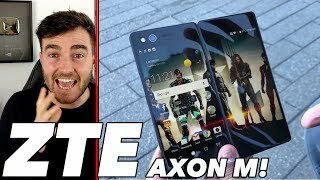 It has been a while since we saw any unique phone from ZTE but the company managed to surprise us by releasing a phone with two displays titled as the ZTE Axon M. While there are phones on the market with two displays like the LG V20, this one comes with two completely separate but similar 5.2-inch displays and the second display is just one-fold away. 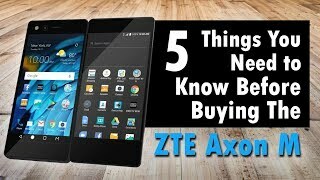 To learn more about this new phone with a twist and the ZTE Axon M Nigeria price, continue reading. The first thing that anyone will notice about this phone is it’s second screen when both the screens are open. No matter where you plan to use it, there will be someone to ask you about this unique looking phone. 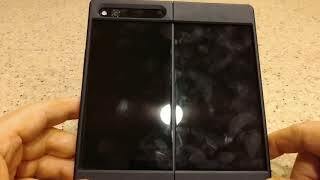 When you unfold the secondary screen, it can take a while to switch between the displays. However, once both the displays are on, you can use it to mirror your primary phone, choose full screen mode to use both the displays as one single display or run two different apps in two displays at the same time. It can take a while to get used to these features but once you do, you will definitely love features like using the second screen as a keyboard when using an app or reading a book. Both the displays are similar and is a 5.2-inch screen showing 1920 x 1080 pixels resolution and 426ppi of pixel density. These screens are protected by Corning Gorilla Glass 5 so there is not much to worry about. As the phone is quite fat and even bigger than the Samsung Galaxy Note 8, it can be difficult to use it with one hand. However, thanks to its thickness ZTE managed to fit a power button on the side of the phone with a fingerprint sensor. 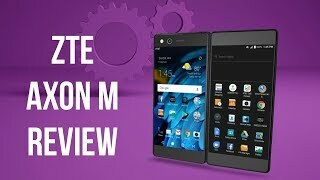 There is only one color to look for after the ZTE Axon M release date Nigeria: Carbon black. Surprisingly, the ZTE Axon M comes with an old processor, the Qualcomm Snapdragon 821 quad-core processor paired with 4GB of RAM. As this processor is not properly optimized like the latest ones, the battery will go down quickly. For a flagship phone, this can be deal breaker. 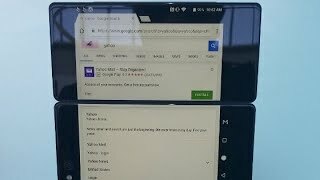 It will be running Android Nougat 7.1.2 out of the box but ZTE did promise an Oreo update soon which can be expected sometimes after the ZTE Axon M release date Nigeria. For those of you who are looking for the best high-end phone available in the market at this moment, there is the Samsung Galaxy S8 Plus and iPhone X. There is only one camera in the ZTE Axon M and it’s a 20-megapixel one with dual-LED dual-tone flash. Thanks to this phone’s dual screen, users will be able to use this one as a selfie camera as well. Other notable features of this phone are: 3180mAh non-removable battery, Quick Charge 3.0, Bluetooth 4.2, GPS, USB Type-C 1.0 and a 3.5 headphone jack port. There is the Google Pixel 2 XL and Samsung Galaxy Note 8 if you are looking for a phone with good camera. 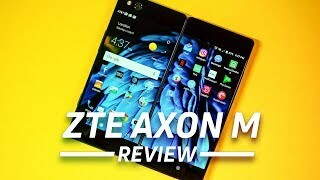 Do keep in mind that compared to the ZTE Axon M Nigeria price, these are way too expensive. The ZTE Axon M will cost around ₦ 228200 when it’s here. It’s already available in some places which means the ZTE Axon M release date Nigeria can be expected quite soon. 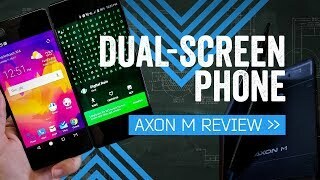 The axon m Mobile Phone is manufactured by ZTE and was added around December 2017 and is part of the ZTE Axon M series. 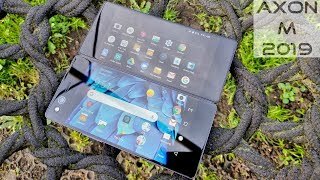 ZTE AXON M REVIEW - Forget The Foldable Samsung 'X' ?